In Japan, summer days can get quite hot. It would be common to see people sweating buckets as they walk past the waves of heat that are radiating off the concrete pavements. It is that time of the year when the most number of people are out on the streets drinking cold beverages. Aside from regular day to day activities, cold beverages are also the perfect companion for Japan’s festivals which occur mostly in the summer. Japan is well known for the massive amount of festivals which occur all year long. However, the most popular season for holding matsuri’s is usually during summer. During this time, festivals are packed with plenty of people having fun, eating and drinking. Matsuris are the perfect example of where a certain summertime drink called “Ramune” truly stands out. During these activities, areas are swarmed with street vendors peddling drinks and refreshments. One would quickly find people drinking a distinctly odd bottle cap paired with a similarly odd bottle container. This drink is no other than the famed Ramune. So what is Ramune? This article will discuss in depth and provide a deeper understanding of the drink that has captured Japan’s heart. It is a truly unique drink that is perfectly fit for the unique Japanese culture. Ramune is undoubtedly quintessentially Japanese. An Introduction to Ramune: What Makes It Unique? Ramune is a beverage that has been around for decades. 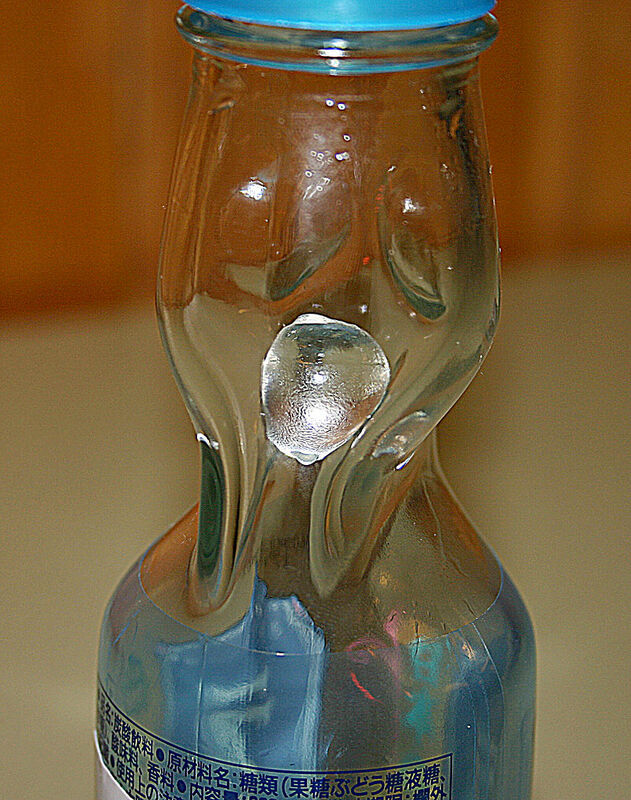 Its formula is a classic carbonated soft drink, but what makes it unique is the glass bottle shape that is sealed with a marble top. At first glance, it would be easy not to pick up a Ramune due to the intimidating shape of the bottle. However, it is rather easy to use once one has figured out the proper technique. Opening a bottle of Ramune is easy. To open the bottle, one must first push down the marble down. This would be confusing because one would instantly assume that this would block the drink inside from coming out. That is, however, not the case. People would be pleasantly surprised to find that the marble actually fits inside the neck of the bottle, and remains in that position as the drink is consumed. As mentioned earlier, the Ramune’s unique bottle design can confuse anyone who is seeing it for the first time. Yet, the uniqueness of the bottle just fits into how the Japanese culture is - quirky and unique. One would easily assume that the bottle design has been the work of a Japanese inventor, but that is not the case. Surprisingly enough, the Ramune bottle actually is not a local Japanese invention. This type of bottle has actually been around in England for much longer, where it originated from. The unique bottle is called a codd-neck bottle in English and it was once very popular among the European countries during the early 20th century. The bottle design was patented in 1872 in England. It was a product of the creative mind of Hiram Codd, whom the bottle was named after. Codd’s main intention by creating the bottle is to serve as a container for the soft drinks produced in his factory. When the bottle was introduced in Europe, it took soft drink manufacturers by storm as plenty of them wanted to copy Codd’s unique design. However, the design soon became obsolete. These days, it would be really rare to find a codd-neck bottle all over Europe. However, back in the Eastern hemisphere, it would be common to spot at least one anywhere you go. It is truly astounding how the Japanese have held on to the design for much longer. At the same time, it should no longer come as a surprise since the Japanese are known for how much they value old cultures and traditions. In the world, they have an unparalleled way of keeping the past decades and even centuries alive. 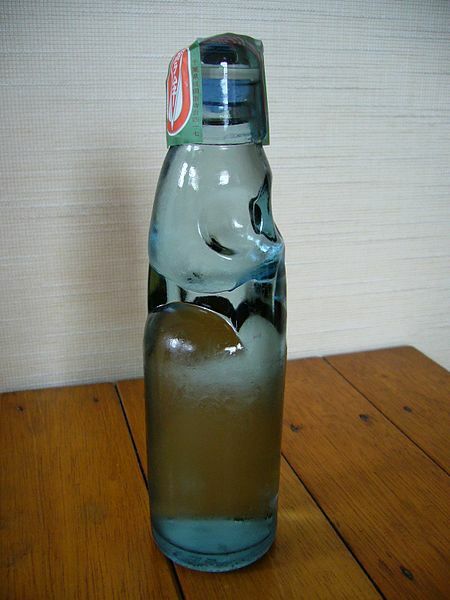 The first Ramune ever was sold in 1876 in Japan. That is right, this drink has been around for more than a century. Its creator was a Scottish-born pharmacist who was then living in Kobe Prefecture. The name “Ramune” is quite straightforward as this word meant “lemonade” in older Japanese. The name “ramune” is accurate as the original formulation of said beverage is a lemon or lime flavored soda. However, many iterations have been introduced already by several companies that manufacture and sell ramune. Hence, over the past decades, there have been plenty of new flavors that were introduced in the market, with the exact number going above dozens. Most of the flavors introduced in the market have been well thought of, such as classic favorites in Japan like strawberry and melon. On the other hand, there are also wilder flavors to capture the younger of the eccentric individuals who are looking for something new such as wasabi or takoyaki. Nevertheless, market studies show that the original flavor of Ramune still trumps the other newer variants by far. While the codd-neck bottle remains popular in Japan, several brands of Ramune being sold in the market are packaged already in regular PET bottles or even cans. While some of these are sellable, they can never match up to the ones sold in codd-neck bottles. This just goes to show that the unique bottle adds up to Ramune’s appeal to the market. For this very reason, some brands still opt to use the classic glass bottle even if it is more costly. As mentioned earlier, Ramune is quite a popular beverage during festivals. Street vendors often add a vintage touch using old containers for chilling the Ramune. Since the classic bottles remain to be coveted, It has become a standard protocol for customers to return the used Ramune bottles to the vendors for reuse in the future. To see Ramune in Japan can be equated to seeing Pepsi or Coke in America. It is pretty much everywhere. Ramune has become so popular that several spin-offs have been made out of the classic beverage. Aside from the usual soda format, others can opt to enjoy Ramune in the form of popsicles or even candies. While the blue tint which has become its trademark over the years is what it is usually associated with, one should not forget that the blue shade was not it’s original form. Upon its first entry into the Japanese market, the drink was clear and colorless. The section of the article prior to this part discussed how the Ramune began. However, little is know about the originals of the original Ramune soda. To this day, it still remains a mystery. Other people have created their theories as to how it was made, but no one will truly now. One of the popular folklore surrounding the real origin of the Ramune claims that the drink was brought to Japan by the Brits during the nineteenth century. It was originally in the form of lemonade, which is why it was aptly named “Ramune” later on. Another popular theory regarding the well-loved drink is that it was first served to shogunate officials by Commodore Matthew Perry, during a diplomatic visit in 1853. Meanwhile, some stories connect the popular Ramune to “Remon Sui”, a beverage that was first sold in 1865. The company Hannbee Fujise was said to be the responsible for selling the said drink within Nagasaki Prefecture. Aside from being a refreshing drink that tastes good, it was in fact mentioned earlier that its popularity partly comes from the unique bottle. Popping the marble into the bottle is quite an experience on its own. In fact, tourists even consider it mandatory to experience opening a Ramune bottle during a visit to Japan. Over the years, the drink has become a favorite among kids. The reason is rather fascinating too. Kids have found that after drinking the delicious carbonated lemonade, the glass bottle with the marble inside makes a simple and delightful toy. The bottle is truly one of the most standout things about Ramune. As mentioned earlier, more modern variations of Ramune are no longer bottled in the same codd-neck style. These drinks are called cider, which accurately matches its English counterpart. Cider is now readily available in plenty of convenience stores throughout Japan - whether it is 7/11, Family Mart, Lawson or any other convenience store, they are very likely to carry it. Of course, Ramune sodas that are bottled in the original glass bottles are still being sold in plenty of locations, albeit not as accessible as it’s PET counterpart. One looking to buy a Ramune in the classic glass bottle would have better luck checking out certain supermarket chains. Of course, these are also the preferred Ramune during matsuri’s, where it’s PET counterpart is not considered desirable. One of the most popular brands that carry Ramune is Hatakosen. This giant beverage company in Japan is regarded for its wide portfolio of drinks. Its popularity goes even outside of the Japanese borders since it was responsible for bringing ramune, ume soda, ginger ale and other kinds of drinks to the European and American markets. With their wide portfolio, it’s easy to find a drink that would suit anyone’s preference. Another competitor in the Ramune market is Sangaria. Hailing from Osaka, this beverage company which originates from Osaka is one of the largest players not just in Japan, but also all over the world. Their drinks have been ingrained in the day to day lives of the Japanese people, and of course, this includes the popular Ramune soda. As mentioned in the earlier part of the article, the original flavor of Ramune is lemon-line. However, since it’s creation there have been more than three dozen flavors that have come out in the market. Conservative types may find joy in sipping a basic fruity flavor, but those who like living on the edge would surely want to make a bucket list out of the more bizarre flavor selections. The most important flavors of Ramune are those within the fruity category. These flavors were based from Japan’s most popular fruits such as Banana, Blueberry, Cherry, Coconut, Grape, Green Apple, Green Tea, Kiwi, Lemonade, Lychee, Mango, Melon, Muscat, Orange, Peach, Pineapple, Plum, Pomelo, Raspberry, Strawberry, Yuzu, and Watermelon. Judging from the lengthy list, a lot of the flavored Ramune varieties are heavily concentrated in the fruity variety. Another category for Ramune flavors would be non-fruity flavors that do not fall on the unusual category. Examples of such are Bubble Gum, Candy, Champagne, Chocolate, Cola, Ginseng, and Vanilla. While these flavors aren’t the usual fruity flavors, they are still considered to be normal drinks which anyone could easily enjoy. A small variety of Ramune flavors would surely intrigue anyone. These flavors are named after random non-food related nouns and descriptors such as Blue Hawaii, Bubble, Disco Dance, Flaming, Mystery, Root Beer, Sour, and Sweet.